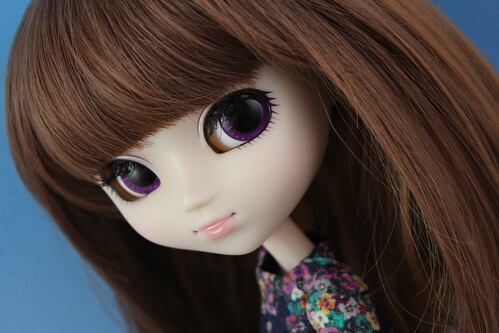 ← Puddle 2014 (US Pullip Convention) just a month away! Today, I decided to play with some of the MIO eyechips that I had previously received from JPGroove. 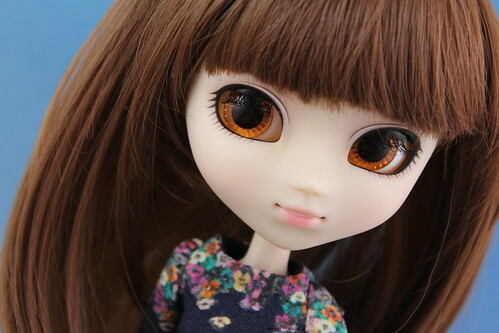 The MIO eyechips are part of the Pullip MIO or Make It Own line of customizing products. The eyechips come two sets to a package with a MSRP of 1470 yen, so far a total of nine different sets have been released for a total of 18 different sets of eyechips (all the different MIO items that have been released can be seen here – please note I need to add the new MIO kits ^^;). Our helpful model/guinea pig today is a rewigged Angelic Pretty Pullip Sfoglia (she has also been rebodied on a type 3) who coincidentally is still available at Pullipstyle. I chose Sfoglia because I thought she had a great neutral face up and would look good with a lot of different eye colors. 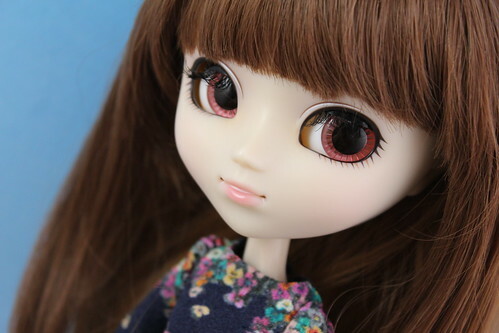 Please note: I swapped her eye mechanism out for that of one of the newer Pullips. I also intentionally kept her with the same background/outfit/wig as I wanted to keep the setting consistent with the photos. Personally I think the purple ones were my favorite. 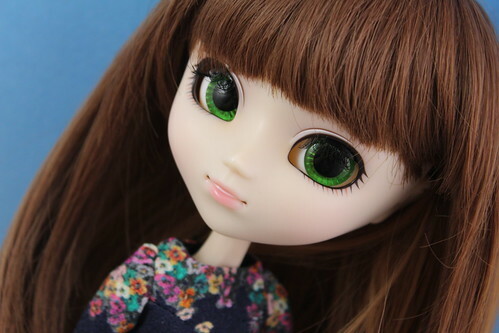 How do you rechip a Pullip? Please check out this wonderful tutorial here by Requiemart as she can explain far better than I ever could. 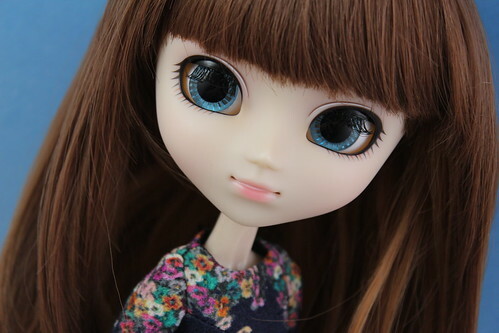 Where are the MIO eyechips available? Pullipstyle currently has some of the sets in stock. 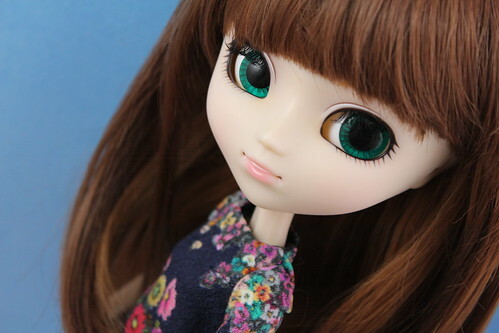 This entry was posted in Doll, Pullip and tagged customize, eye chip, make it own, mio, Pullip, rechip. Bookmark the permalink. The eye chips look really good. I’m glad they have released them, since there aren’t any others (?) that fit the newest eye mech. Too bad you have to buy them in pairs! I hope they will make some different styles in the future, not just these regular ones. 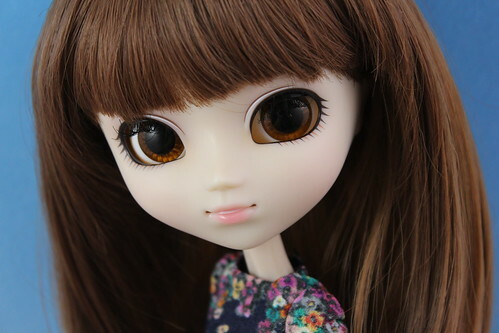 My only complaint with the eyechips is the price, they are like $12 for two sets. 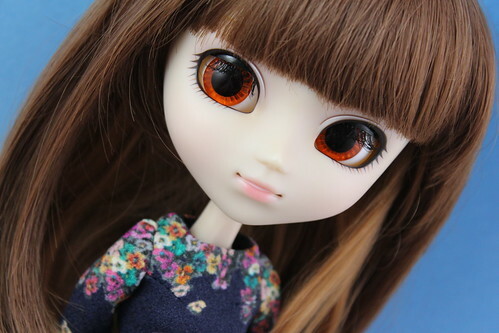 I assume Blythe chips would fit the newer eyemechs but I personally don’t rechip my dolls often so I’m not really sure.